Brenda Jackson, AALBC.com, New York Times and USA Today Bestselling author of over 100 novels and novellas, was born in Jacksonville, Florida. She earned a Bachelor of Science degree in Business Administration from Jacksonville University. She married her high school sweetheart, Gerald, and they have two sons, Gerald Jr. and Brandon, ages thirty-six and thirty-four, respectively. She is an active member of Delta Sigma Theta Sorority, Inc. Her professional writing career began in 1995 with the release of her first book, Tonight and Forever. Since then she has written over 100 titles, which includes a made-for-television movie by BET, One Special Moment as well as the movie, Truly Everlasting. She was a 2012 NAACP Image Award Nominee for Outstanding Literary Fiction for her book, A Silken Thread; and was named Romance Writers of America's Nora Robert's Lifetime Achievement Award recipient for 2012. 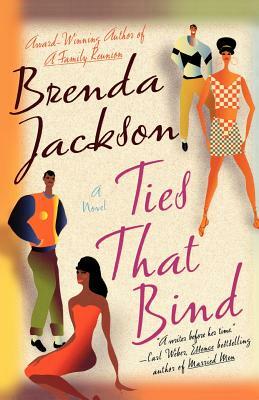 Over the years Brenda has received numerous awards and made many trailblazing accomplishments by being the first African-American author to have a book published under the Harlequin/Silhouette Desire line of books and the first African-American romance author to make USA Today's Bestseller's List. She has written for the following publishers: St. Martins Press, BET, Kensington, NAL, Harlequin/Silhouette and Harlequin Kimani Romance. A New York Times and USA TODAY bestselling and award-winning author of more than 100 romance titles, Brenda divides her time between family, writing and traveling . Readers may write Brenda at P.O. Box 28267, Jacksonville, Florida 32226, by email at WriterBJackson@aol.com or visit her website at brendajackson.net. Tell us how much you like Brenda Jackson.